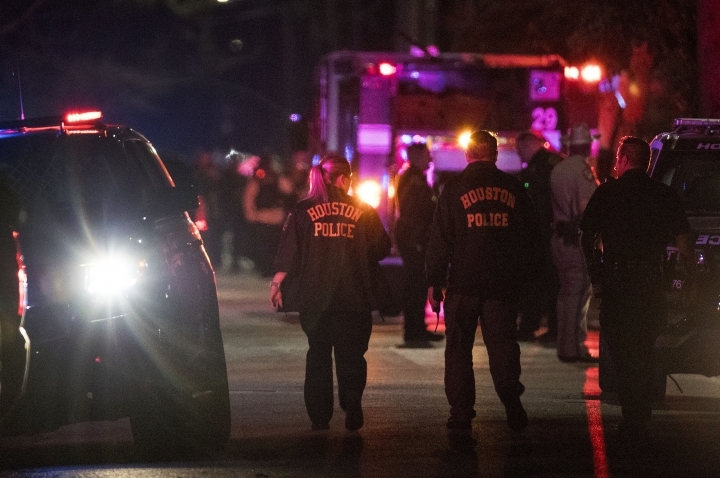 A hospital has released one of four Houston police officers shot and wounded while serving a warrant on a suspected drug house. Houston police tweeted that the officer was released Monday night after being treated for a gunshot wound to the shoulder. Two other officers remain in critical condition at Memorial Hermann-Texas Medical Center in Houston with gunshot wounds to the neck. Two other officers — one who was shot and wounded and another who injured a knee — remain hospitalized in good condition. Two suspects were shot and killed in the exchange of gunfire with police Monday afternoon at a house in southeastern Houston.